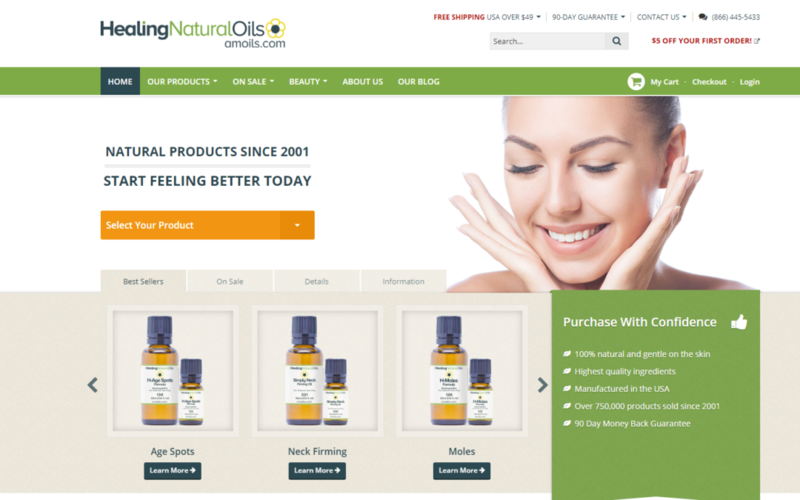 Natural Healing Oils (Amoils.com) provides natural treatment and remedies oils for ailments such as skin tags, eczema and more. This once thriving affiliate program was without a dedicated affiliate manager for several years. As a result, the program was in decline and fell victim to cannibalized sales. Natural Healing Oils reached out to Robbins Interactive, through Elevated Inc., to revive the program back to its former glory with our affiliate management services. The program initially ran in both an in-house program as well as Shareasale. The first step was to move all active affiliates to Shareasale. This allowed for comprehensive reporting including clickstream review. It also provided an opportunity to reach out to each affiliate and form a relationship. Within Shareasale, all coupon sites were removed from the program since Natural Healing Oils is a unique product without retail outlets. Top affiliates received personal communication and were incented to expand their product line promotion. In addition, affiliates were offered individual consultations to enhance conversions. New affiliates were recruited based on niches as well as relevant super affiliates. Initially coupon sites represented 30% of the total affiliate sales. By month two, coupon sales represented only 4%. Coupon sites were completed eliminated by month four. The Natural Healing Oils affiliate program now contains only content affiliates that bring unique customers and value. Within one month, the program reversed its downward trend, even with the removal of all coupon sites. Month over month sales increased by 35%. As the affiliate manager, Robbins Interactive continues to expand the program through nurturing active affiliates, rehabilitating inactive affiliates, and aggressively recruiting new affiliates.